I don't think selling two properties, our home & our rental, with two little ones in tow has been a bad decision- but it's definitely been second-guessed a few times these past weeks. We've been treading water in a sea of contractor appointments and inspection negotiations, wondering whether the end's near. It just might be (fingers crossed).What does all of this have to do with puppets? Well, should you find yourself waiting on hold for the next representative, or for the next contractor to appear, these are the perfect antidote. Quick, portable, and easy to sew. And, when finished, a great distraction for toddlers who need their Mama just as the representative finally answers the phone. ...like this photo-bombing birdie! She gets a little rowdy sometimes. Of course the best part is seeing them come alive, and sing their many songs, on sweet little fingers. *Please make sure that your felt is folded in half before you use the template, lining it up to the seam. *Craft-store felt was used for this template, it might need to be adjusted for wool or any other thicker felt. 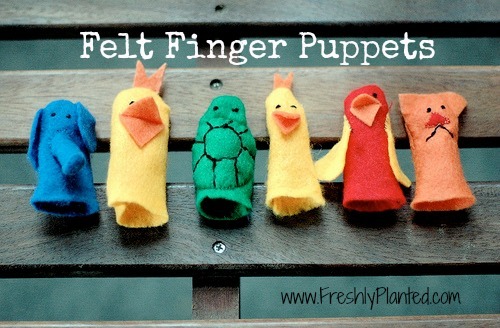 *Embellishments, such as beaks, can be sewn or hot-glued on. *These eyes were created with a three-wrap French knot, but you can also use sewn on beads (for older children's play), little dots of black felt or fabric marker. 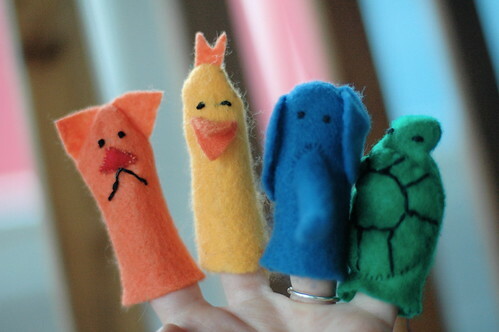 I love finger puppets! 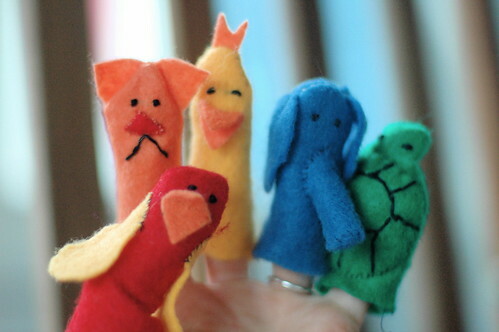 We have an "outing" bag and finger puppets are one of the favorite items (aside from crayons and notebooks). Thanks for the template. I may craft a few!